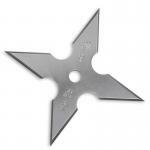 We have here for you a high quality, solid Four Point Throwing Star made from stainless steel. 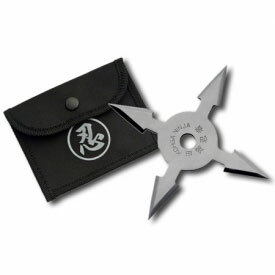 The clean design and very sharp edges make the ninja star easy to handle so you can throw harder and faster while maintaining accuracy. 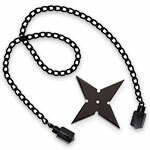 Each shuriken also features writing in kanji. While our Japanese is only rudimentary, we at KarateMart.com have used a variety of translation services to ensure that nothing obscene or pornographic is written on any of our throwing stars. 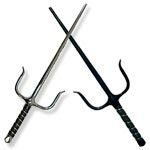 You can thus always be sure of a quick, clean kill. 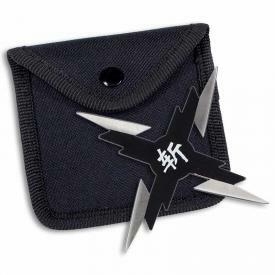 The four point throwing star also comes with a black ninja throwing star case with a belt loop. 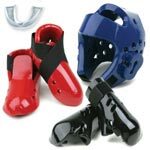 Because you have room for more than one on your own personal belt loop, you should buy at least half a dozen. 4 Points are ground along the entire edge and on both sides. 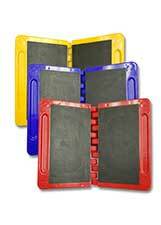 "Extremely fast shipping, great product. Exceeded my expectations. Thanks for making my life complete."